Offered as a monthly subscription, the Makidoo app lets you create corporate videos on your smartphone with help from a virtual Assistant Director who leads you through three steps: choosing a template, guided filming, and automatic editing. At the end, even users who don't have any technical filmmaking skills are left with a professional-looking product. 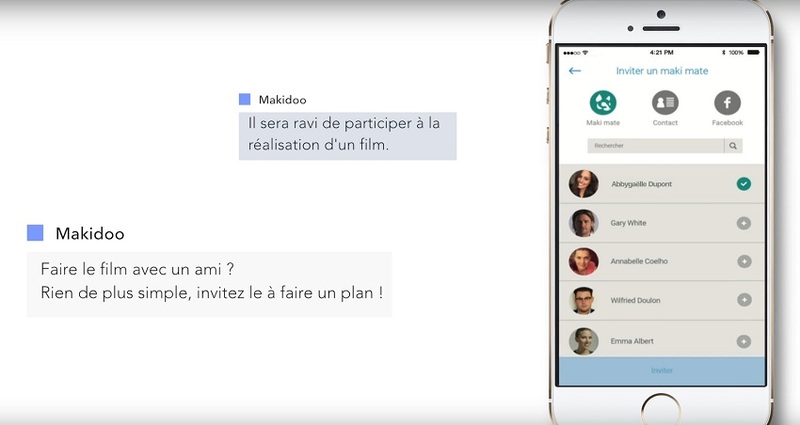 Based in la Roche-sur-Yon, Dream and Achieve is the start-up that designed the Makidoo app. This start-up was founded in July 2016, when Julien Comte, the founder of a company that specialises in online corporate videos met Angel Investor Michel Gay. The third partner was Sophie Comte, who cofounded the company alongside her husband Julien. Today, Dream and Achieve has four employees. Videos will account for 82% of global internet traffic in two years. 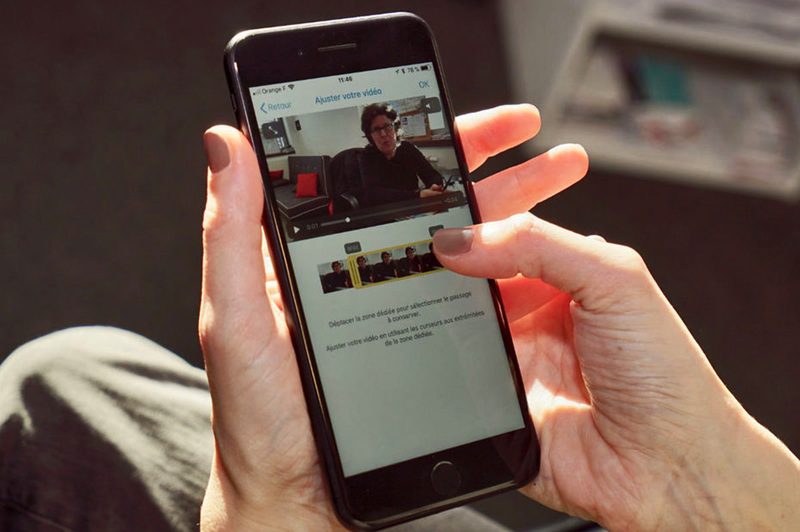 The Makidoo app is available for iPhone and Android, making video production more accessible by guiding the user from beginning to end, from choosing a template/storyboard to filming, to editing. Makidoo is a guided mobile video creation app with automated editing. Making a video is a simple three-step process: first, choose a custom template, then follow the shot by shot filming guidance, which uses specific instructions that draw on the basic rules of filmmaking to create consistent and original video content, and finally automatic editing that uses an algorithm to edit the entire video in only a few seconds. Videos will account for 82% of global internet traffic in two years. Makidoo is a tool that is especially well suited for businesses that regularly need to create short-form minute-long videos for social media. Introduction to the Makidoo app's features and final products. Since its commercial launch in October 2017, Makidoo has won over more than 80 clients, including Microsoft France, the Groupe Sud-Ouest media organisation, Métro Cash and Carry, the Groupe Dubreuil, IBP (Informatique Banque Populaire), KissKissBankBank, Ricoh Industries, and others. Makidoo has won the Dream and Achieve start up 7 awards: the “Best Company” and “Jury Grand Prize” awards at Réseau Entreprendre Vendée’s Vendée Digital Awards 2017, the 303 Tour 2017 award from La Cantine Numérique, 2018 Western France Digital Woman award in the “Start Up Founder” category, and others. Dream and Achieve is also supported by 1kubator Nantes (Class of Spring 2017), AND Booster (Class of Winter 2018), and is a Village by CA partner. For more information, visit Makidoo’s website. KissKissBankBank, a subsidiary of La Banque Postale, saw that crowdfunding campaigns that don’t use videos have a harder time raising funds than those that do. That’s why this platform decided to partner with Dream and Achieve to give users the opportunity to use Makidoo to create a video for free. All they need to do is download the application and enter the activation code they receive when they sign up with KissKissBankBank. This offer will last for 6 months.